The most liveable city in India, Pune is home to several tourists attractions. Ranging from historical monuments to religious sites and beautiful waterbodies to lush green hill stations, you can find everything in and around Pune. Rohida Fort is one amongst these beautiful destinations which interest each and every kind of tourist. If you always look forward to taking a stroll through historical lanes as you savour the serenity of nature, then you must read this article. Here, we discuss the beauty of Rohida Fort, its historical significance and how to reach it. Being a hill fort, it is also a perfect escape for adventure lovers. Read on to know more about it. The region of Rohida Fort experiences a moderate type of climate throughout the year. Hence, it can be frequented anytime during a year. However, if you do not wish to experience the hot sun of Pune, then the best time to visit it is from October until the end of March. You can also visit it during the monsoon season, but you need to be very careful as tracks leading to the top of the fort become slippery and risky. 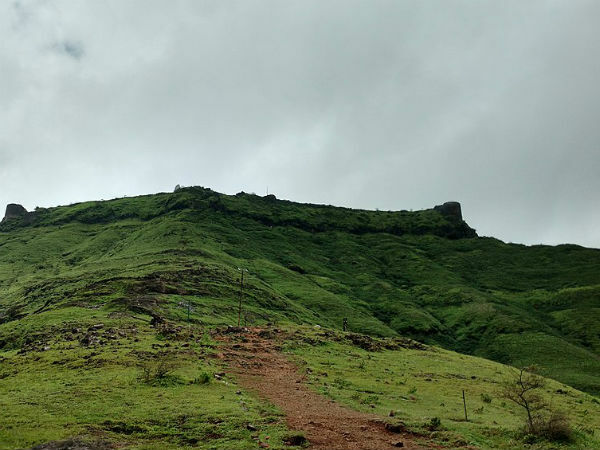 Located in the Pune district of Maharashtra at a distance of about 10 km from Bhor, Rohida Fort is a site of historical and natural significance and is lying above a hill. It is also known as Vichitragad Fort and is said to have been established during the Yadava dynasty several centuries ago. However, it was ruled by several other dynasties later on, including the Marathas and the Mughals. Today, the fort is lying in ruins and one can only witness its collapsed structures, such as bastions and walls. However, it is still a weekend destination for several history lovers. As it is situated atop a hill, it has also gained popularity amongst trekkers, campers and photographers. The region is blessed with lush green vegetation and harbours a pleasant atmosphere. Therefore, one can easily feel the essence of tranquillity within its boundaries. So, don't you think a visit to Rohida Fort would be an unforgettable experience? Apart from relishing the natural surroundings and scrutinising the history of the fort, you can also visit the beautiful Rohidmalla Temple, which is located within its boundaries. As the region nurtures a soothing environment, it makes for an idyllic spot to detox your mind, body and soul. By Air: The nearest airport to Rohida Fort is located in Pune at a distance of about 77 km. Once you have reached Pune, you can hire a direct cab to the fort. The base village from where you need to trek up the hill to reach the fort is Bajarwadi. By Rail: Pune is well connected to all other cities and town by rail, and hence it is easily accessible by trains. You can take a direct train to Pune and then from there, you can hire a taxi to reach Bajarwadi. The distance between Pune and Bajarwadi is 73km. By Road: The base of Rohida fort is easily accessible by road.